Watch the two videos below. While you are watching, stop the video and fill in the facts as you hear them. 1. Two facts about Prostar. 2. Two facts about Red Dwarf star. 3. 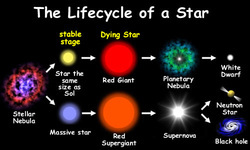 Two facts about Supergiant star. 4. The color of the star depends on the __________. 5. Which is the hottest star: Betelgeuse, our sun, or Rigel? 6. If the stars are different colors, why do they all look white when we look at them at night? Write these questions down in your science journal. Then watch the video and search for the answers. 1. What collects the star together? 2. Which element is the key component to stars? 3. To form a star like our sun it takes ___? 4. Free Choice-Your question and answer. 1. 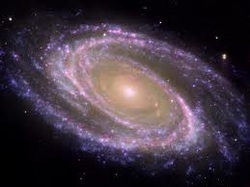 It is estimated that there are over _____ billion galaxies in the universe. 2. Dwarf irregular galaxies are ________. 3. _____ first divided the galaxies. 4. 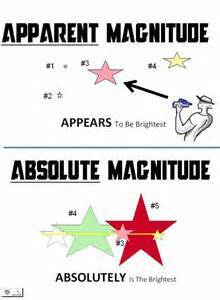 Most stars occur in ______. 5. You write the question and answer. 2. Scroll down and choose one of the videos to watch. Be sure it is something related to the topics in "Sec. 1-The Nine Planets." 3. In your science journal, write the title of the video clip you watched. 4. Then answer the question. For example: If the title was "What is the Nearest Galaxy to the Milky Way?" that is the question you need to answer after watching the video. Then choose 3 questions you wonder about. The questions must be related to section 2 The Inner Planets. In your science journal write the questions you choose and then write the answer you found. Class Discussion: Why Isn't Pluto a Planet Any More? Then choose 3 questions you wonder about. The questions must be related to section 3 The Outer Planets. In your science journal write the questions you choose and then write the answer you found. *When you are done-Be sure to click-SHARE to send me your finished work.